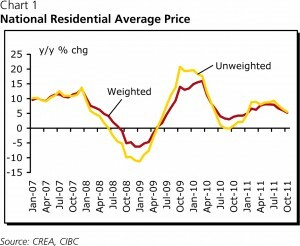 This article came from CIBC Economics, was written on the 15th of November 2011 by Benjamin Tal. 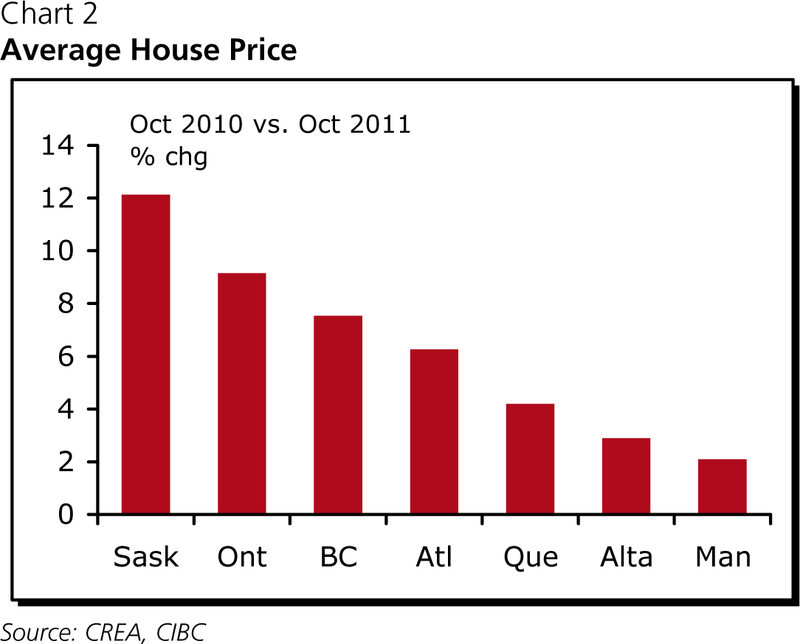 House prices in Canada rose by 5.5% (year-over-year) in October following a 6.5% increase in September. This is the slowest pace of price appreciation since January. Importantly, there is hardly any gap between the performance of the weighted price index and the un-weighted index, suggesting that the average price is not biased due to abnormal activity in large urban centres such as Toronto or Vancouver (Chart 1). During the first ten months of the year sales were up by almost 2% vs. the same period last year, while new listings were hardly changed. By province, the largest increase was in Saskatchewan, followed by Ontario (Chart 2). 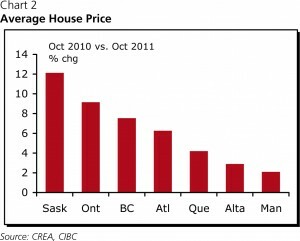 Note that the pace of house price acceleration in British Columbia is softening. Mortgages outstanding are now rising by 7% (year-over-year), while the mortgage arrears rate has stabilized at close to 0.4%. 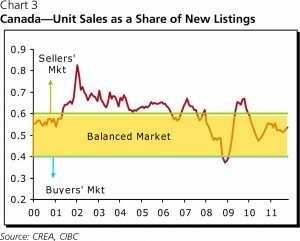 A glance at Chart 3 suggests that the market appears to be balanced from a supply/ demand perspective. But we also know that this balance can change very quickly. The decelerating pace of increase in home valuation is a positive development. At this rate house prices will stop rising by the 2nd quarter of next year and that’s exactly what we need to see in order to achieve an orderly return to equilibrium. 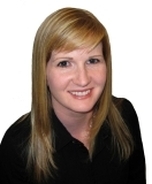 Our assessment is that relative to rent, income and demographics, house prices in Canada are over-shooting. But the fact that prices are overvalued today does not necessarily mean that they will crash tomorrow. After all, a violent market correction needs a trigger such as the sub-prime crisis, which ignited the US real estate meltdown, or abnormally high interest rates as was the case during the 1991 property crash in Canada. That is not on the horizon this time around. The Bank of Canada is very clear about its intention to move slowly, with the first rate hike not expected before late 2012. As well, any objective assessment of the quality of the existing mortgage portfolio in Canada reveals a relatively balanced mortgage market with a small segment of marginal borrowers. 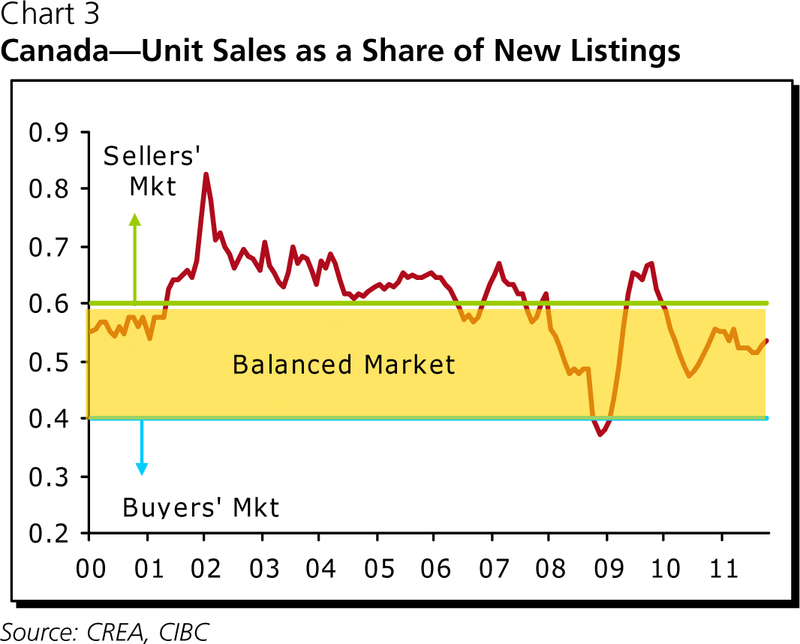 Accordingly, while we do not see house prices crashing, we do believe that the housing market in Canada will stagnate in the coming year or two. Further out, the most likely scenario is that the eventual increase in interest rates will lead to a modest decline in prices (probably in the magnitude of 10%). But given relatively modest rate hikes and the current balanced affordability position, the more significant adjustment will be in housing market fundamentals that are likely to catch up with prices in the coming years — paving the way for a healthier housing market later in the decade. 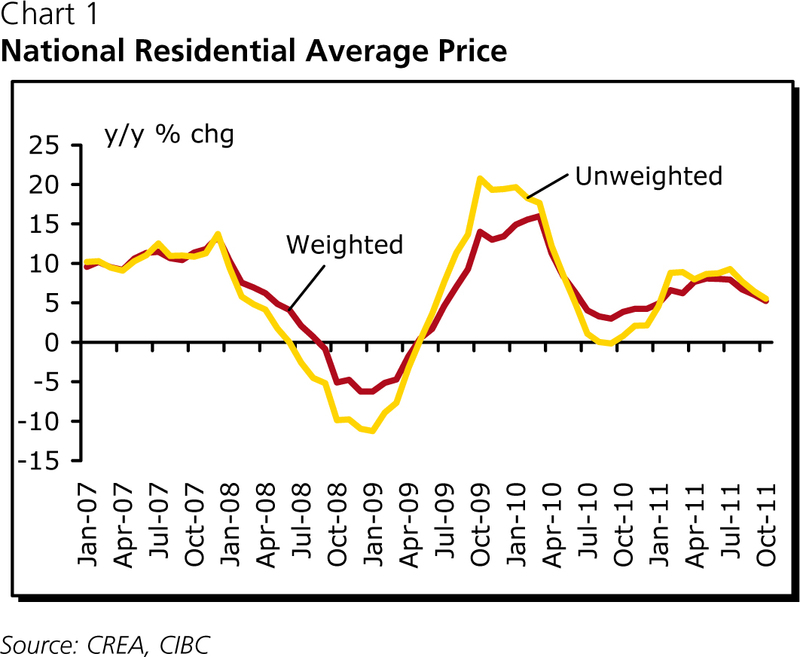 Indeed a flattening in house prices in the next year or so is a necessary condition for such a soft lending scenario. If the pace of house price increases accelerates during that period, then twelve months from now the likelihood of a violent price correction will be higher than it is now.